The BOI Course Authoring System allows organizations to create their own online training program with a simple, easy to use interface. Perfect for corporate training systems! This system provides BOI and their corporate partners a system to quickly implement or modify internal training systems - optimizing employee time and training dollars. 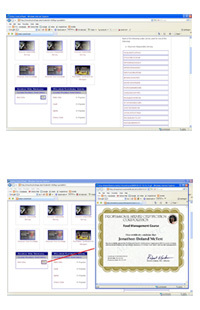 Create on-line training program for sale on the internet!